The 24th of February, 2019, the American artist Pharrell Williams before presenting an award on the Oscars recited a verse from the Bible. Which verse was it? Gratitude flows effortlessly when everything in our life is going well. But can we be grateful in difficult times, when we go through uncomfortable situations? Download image with this Bible quote. More Bible verses about being thankful, to share on Thanksgiving Day. 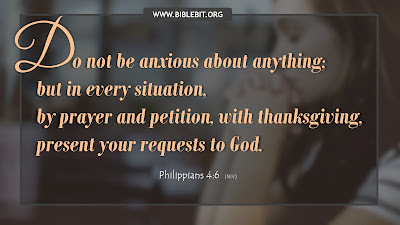 Do not be anxious about anything; but in every situation, by prayer and petition, with thanksgiving, present your requests to God. As stated, if we are in need of something through prayer we can always ask God, instead of worrying, being grateful heart for everything he has already done for us.